"... brewers learned they could charge more for strong beer, considerably more than additional ingredients and labor would cost"
I wonder if that isn't one of the reasons behind the extreme and other similar beers. Actually, the quote above is incomplete, it starts with "As far back as the sixteenth century..." and was taken from Brew Like a Monk, a wonderful book by Stan Hieronymus, and it's only one of the many passages I could quote here. Brew Like a Monk is a study of Trappist and Abbey beers and those they inspired in Belgium and the US. 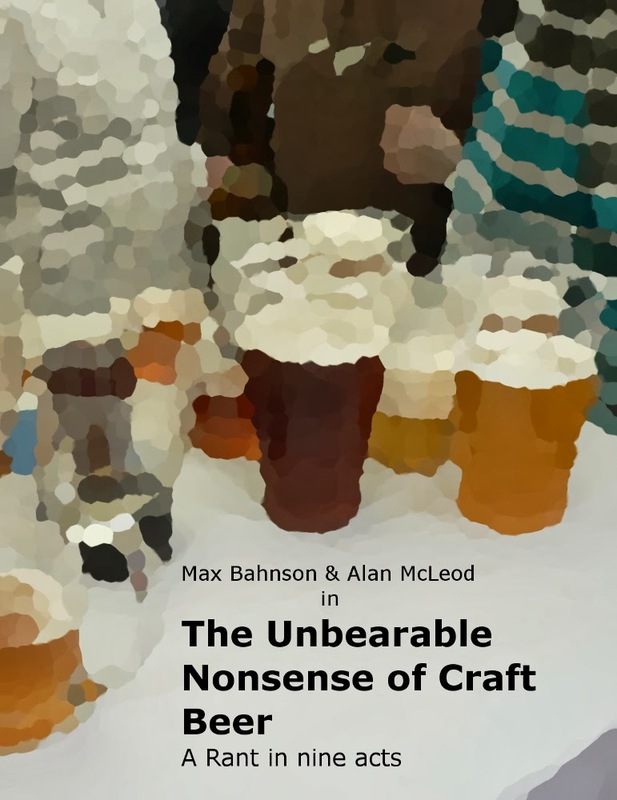 Is a book for audience with a more than basic knowledge of the brewing process, there is a lot of technical stuff (for example, there is a section that discusses the effect of the fermenter's geometry) and those who aren't familiar with it, at least in theory, will end up getting lost. Now, those of you who fulfill that "requirement" should not miss it! The bulk of the contents are the stories behind some of the most famous beers from this family, on both sides of the Atlantic. It's a fascinating read. 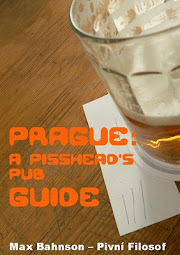 You end up understanding each of the beers in a more intimate and personal way. Though here I must admit that I wasn't so absorbed by the American part, but only because almost all of the beers mentioned there are unknown to me sensory-wise and I wasn't able to establish the same link I established with the Belgian ones. That aside, before reading this book I recommend you take note of the beers whose stories are told, get as many of them as possible and drink them as their stories appear on the pages. I did it with Orval and it was a wonderful experience. There's no doubt that it is brewers, both home and small scale commercial ones, the ones who will get the most out of Brew Like a Monk (or BLAM, as Boak and Bailey have dubbed it). There are plenty of recipes and tips, followed by more recipes and tips that show that it's not always necessary to use a dozen different malts and half a ton of hops to make complex and interesting beers. On a personal level, what I liked the most about Brew Like a Monk is that it made me think about and helped me understand quite a few things, while confirming a few others I've been saying for some time. How tenuous the concept of "Craft Beer" is, that saying that a beer/brewery isn't commercial is quite silly, the comprimises and trade-offs that success and growth almost inevitably bring, etc. But above all, it confirms that passion isn't enough to make good beer consistently. It's also necessary to know the science of the process, the why and how happen the things that happen, and yet, at the same time, having the deepest knowledge of the science is not enough to make a truly Great Beer. You also need the right amount of art and spirit. You can call that passion, you can call that any way you want. I prefer to call it Alchemy. I'd be interested to know whether there are really higher profit margins on stronger beers. Alcohol tax is based on ABV so my impression is the price difference is largely caused by that, but of course the same percentage profit of a higher price is still a higher profit.. just don't know if it's enough to be a motivating factor. Not often the prices are that similar for a 12 and a 16 is it? If so then they're making more on the 12.. Was thinking about this recently in regard to the Staropramen Lemon, the thing only has 2% abv but costs the same as a good dvanactka, it's no wonder it boosted their profits so much..
Alchemy is Spot on in Describing Brewing. Being a Good Chemist helps too. So many good Ideas have Floundered on this concept. Is there any doubt the opportunity to charge more for beer by making it "special and strong" is a key business plan in US craft beer especially? The case here, I believe, is different, beer is supposed to be rather cheap, ingredients are relatively inexpensive and the difference in taxes between a 12º and a 16º isn't that much, either. Thanks for the review - I've been looking at this book for a while now, but haven't purchased yet...sounds like I need to get on it! While there is likely some profiteering with higher gravity beers I think the higher price can be justified. Not only would you be using more grain, you would be spending more time to mill that grain and you would need a higher quality and more alcohol tolerant yeast. Aside from that higher alcohol beers generally need a little more time to ferment and also more time to condition into the final flavour. Your brewery could be churning out lower alcohol beers faster which would obviously have to be factored into the selling price. Another way to see the "revolution"